With Sockshare, you can upload your own files or download files that others have uploaded. It also offers direct streaming services. However, although Sockshare allows you to stream videos of movies online, you may find it difficult to download them for later viewing. So is there any way to download Sockshare videos and watch them offline? Here is the best solution for you. 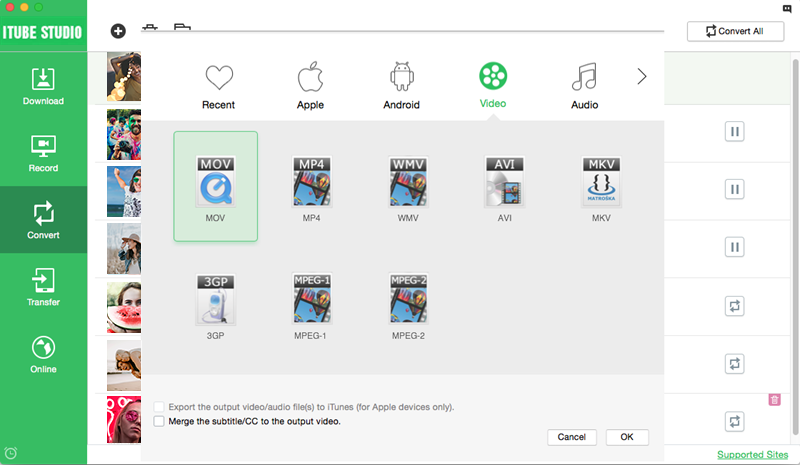 To download videos from Sockshare, you will find the process considerably simplified when you are using iTube Studio. 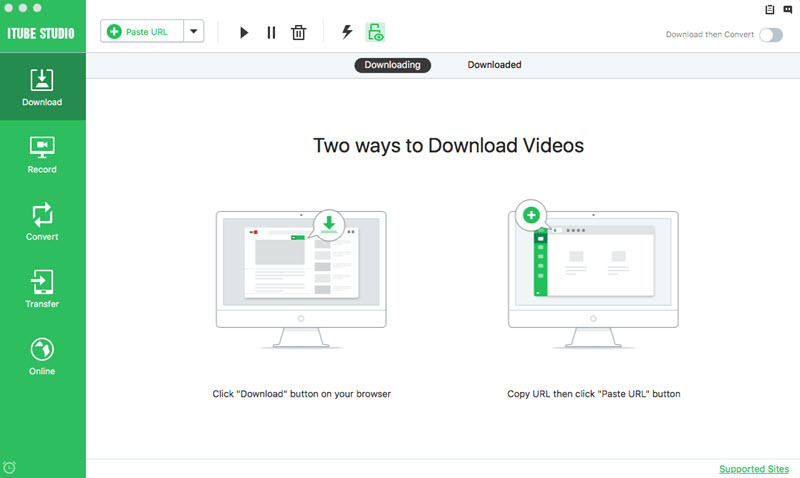 This video downloader is specifically to help users download videos from websites such as Sockshare, YouTube, Facebook, and 10,000 more sites. This Sockshare downloader is also a video converter that enables you to convert the videos to any formats so that you can watch the Sockshare videos in mobile devices, gaming consoles and media players. Just take a trial. As a powerful Sockshare video downloader, you can download 4K UHD, 4K, 1920P, 1080P videos without any pressure. Also, it is a video converter, it supports to convert local or downloaded videos to 153+ video format easily. 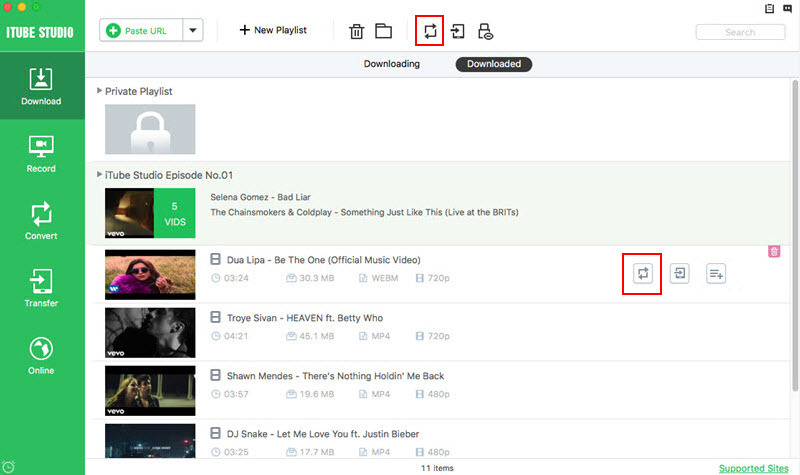 With player plugin, you can directly play your downloaded videos with this software. It can transfer the videos which are saved on Mac or Windows computer to your Android or iOS devices in one click. You will no longer have any problems when it comes to downloading videos from the Sockshare video streaming website. Download and install the Sockshare video downloader. Then run the program and go to the main interface. Visit the Sockshare website and start streaming the video you want to download. On hovering the mouse over the video, a "Download" button will be displayed on the top left of the video. Click on the button so as to add the video to the list of downloads in iTube Studio. 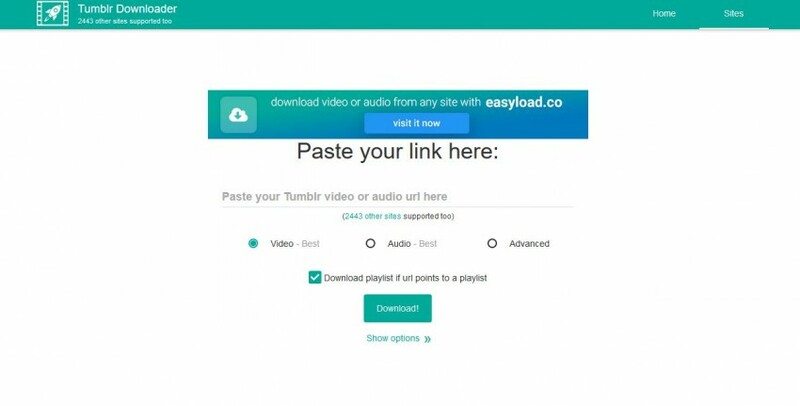 By copying and pasting the URL of the video into the program with the help of the "Paste URL" button, the download can be started. Go to "Downloaded" tab, you can find a "Add to Convert List" icon on the right of video, click this icon to import the video file to "Convert" menu for conversion. Then open "Convert" menu, you can find your video from the list, click "Convert" icon on the right, you can select the target output format and start to convert the Sockshare videos. If you loved PUtlocker, you will definitely want Sockshare in your laptop. The hundreds of choice of Sockshare videos are enormous and may use up all your spare time with the number of movies you can watch and ogle on. They have the list of even movies that are currently running in the theatre. Watching movies on your down time or days when you just want to lounge in your favorite chair, curled up with a bottle of champagne and bag of chips that you've been dying to eat is perfect with Sockshare. You don't need to even go out and get dressed for the movies. You can wear jammmies and enjoy your favorite flick without leaving home. Just as their subheading claims, it is definitely never ending movies all the time! The genres from action, adventure, sports, sci-fi, horror, thriller to comedy, crime, western movies and anime are exquisitely wide in range. If you're more into kung-fu, cartoons, drama, family movies, musical or even biography movies, then Sockshare is the site for you. You can choose and have a marathon of all sorts with all the movies and genres they offer. You can catch up on those favorite movie lines you loved back in college or that movie that made you want to do more for yourself and inspired you or aspired you to do better. Its endlessly asking you to have free time and some unwind time to enjoy movies after movies. Sockshare also offers television series of your liking. You can pick from their list of tv series and have a blast watching re runs or just season after season of your favorite television series. If you think you need to back track a movie or a series from the 90s you can check their years and have a dose of all the other series and movies that played or showed then. Sockshare has a vast library of movies that only a true movie buff will appreciate. So kick off your shoes, relax a little bit and go on Sockshare to enjoy their videos.